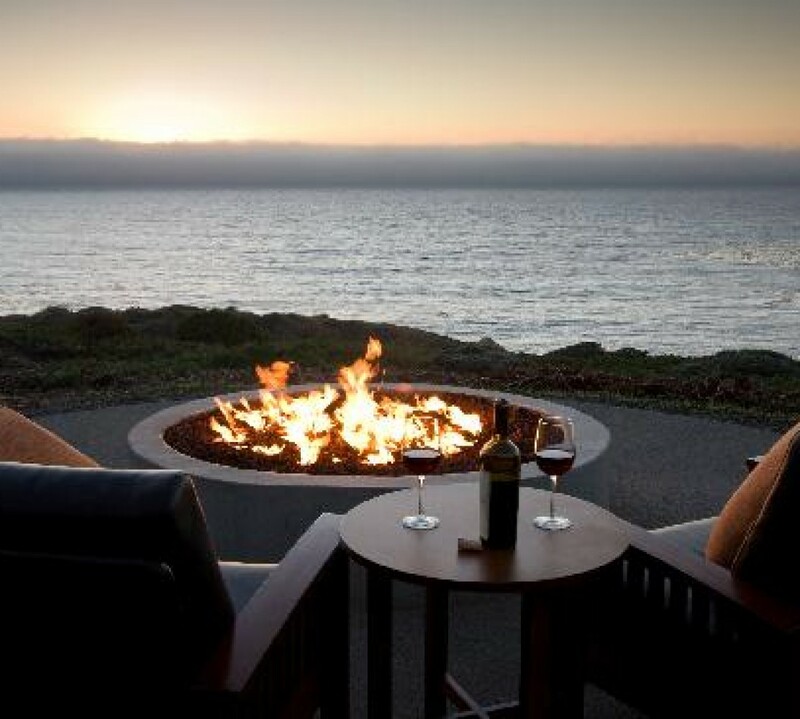 I loved Marina Adair’s St. Helena Vineyard Series. When I was done, I wanted to know more about some of the other characters. What do you know! Marina has started a series all about The Heroes of St. Helena. The Baudouin brothers! Frankie’s non-vineyard working men-in-uniform brothers. HUBBA HUBBA! If you thought the DeLuca boys were the only hot stuff in St. Helena, you were wrong! 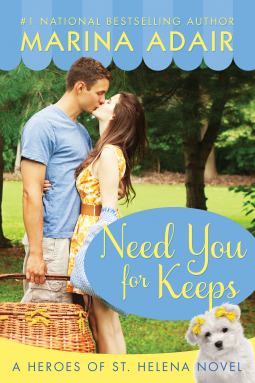 Need You for Keeps starts us off with our introduction to our first Baudouin. Deputy Jonah. We had seen this brother before in his sister Frankie’s story, Autumn in The Vineyard. Such a small glimpse of something so hot! Shay, the local pet groomer and animal rescuer who is smart and sassy with a side of sweet is quite a handful for our stable man of the law. Though Jonah is a get-involved-without-getting-emotionally-entangled kind of guy, after one heck of a steamy kiss, neither Shay nor Jonah can stop thinking of each other. Shay is one shade shy of the law and this 6’2″ superhero IS the law. Can she build her pet rescue without stepping over the boundaries? Can he follow the law and his heart? Can the two of them protect and serve both the citizens and the animals of St. Helena? You won’t be able to put the latest from Marina Adair down until you are able to answer these questions. by Hope S. Warshaw R.D., Joy Pape R.N. I remember the day I was first diagnosed with Diabetes. I immediately went to my local bookstore to get information. There were books for Type 1, and Type 2, counting carbs, cooking, and baking with sugar substitutes. But there wasn’t a book to answer all of the questions that were popping into my head. A book for “dummies” gave me very general information, no different than the small brochure that my general practitioner gave to me. I needed much more information than that. Two years after my diagnosis, such a book has been written. REAL-LIFE GUIDE TO DIABETES: Practical Answers To Your Diabetes Problems. Hope Warshaw and Joy Pape are the authors of this amazing book. Hope and Joy are both Certified Diabetes Educators with tons of experience and have been the authors of many books on Diabetes care. Joy is also a Type 1, herself, so she knows the difficulties of living with diabetes (and I mean LIVING). The book is fresh, and new. It isn’t laid out like any diabetes book you’ve read in the past, it flows freely from one subject to another. With the information in boxes, it is easy and fun to read! Full of color pictures, tips, and solutions. Sections included are: Build Your Strong Foundations, Create Your Real-Life Diabetes Plan, and When Life Happens. These are LIVING with Diabetes subjects, and truly the information that is needed for Today’s Diabetes. My favorite part was the Wonder? areas. I wish that I’d had these practical answers to all the questions that had been running through my head when I was first diagnosed. These are in boxes throughout the book, just in the right place you are looking for them. 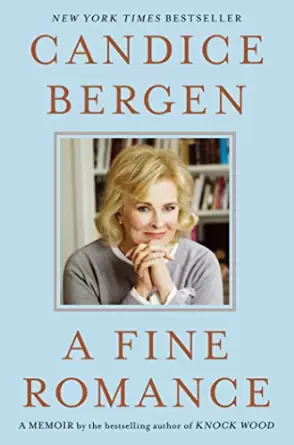 But, this book isn’t just for the recently diagnosed, as someone who has lived with Diabetes for the last two years, I was able to answer questions that I had not even thought of. “Dealing with Diabetes while on Vacation” comes to mind right away as one of those subjects. I also am putting the “Losing Weight and Keeping it Off” to some good use! The beauty of REAL-LIFE Guide to Diabetes is in the simplicity, but it’s approach isn’t dumbed down to make you feel like you are an idiot. Just the right answers in the right tone, to make you comfortable in learning more about the disease you are living with. 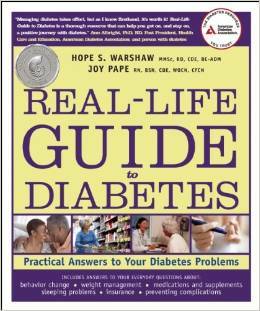 I will recommend REAL-LIFE GUIDE TO DIABETES: Practical Answers To Your Diabetes Problems by Hope Warshaw and Joy Pape to EVERYONE I know!